How many people would come to discuss the topic of students and trauma? 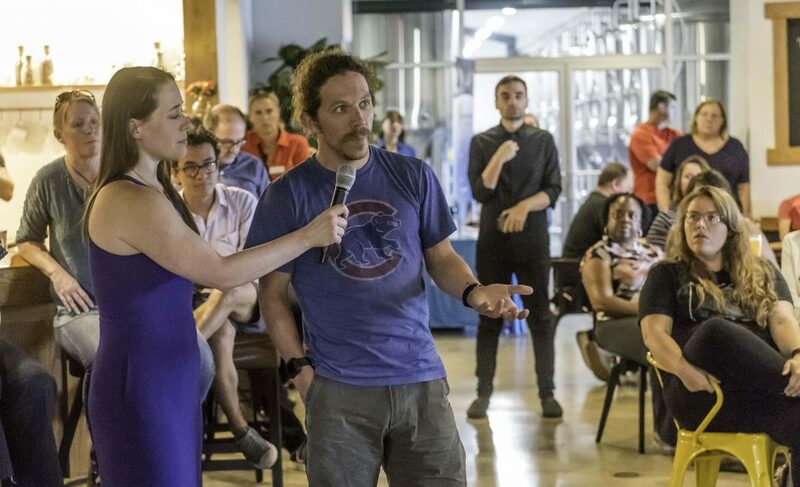 No guests had been confirmed, but social media activity suggested high turnout for Illinois Newsroom’s first event News & Brews: How Schools Can Better Help Kids Cope. Now it was a question of capacity. The tap room in Riggs Beer Company in Urbana can seat 99 at heavy, wood communal tables. Some 140 people attended, filling the main room to capacity and overflowing into the attached covered patio. People had driven from towns and counties away to talk about trauma-informed practices in local communities and schools with Regina Crider, Executive Director of Youth and Family Peer Support Alliance in Rantoul; Elizabeth deGruy, Director of Special Education for Champaign Unit 4 Schools; Lee Gaines, Education Reporter for Illinois Newsroom, and Karen Simms, mental health professional and Coordinator for CU Peace and Resiliency Champions. The age of attendees ranged from 6 months to more than 70 years. 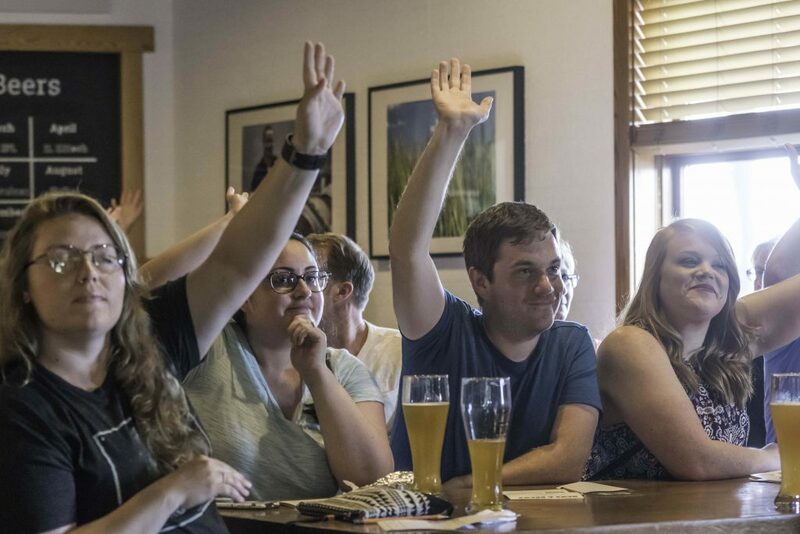 The Champaign County State’s Attorney, Julia Rietz sat behind veteran Champaign Unit 4 teachers who sat behind a group of young educators with tall pints of hefeweizen. Urbana schools Superintendent Don Owen leaned at the edge of the bar. Community Relations Manager for the City of Champaign Tracy Parsons sat nearby. Laura Bleill, founder of Champaign County’s favorite family blog ChambanaMoms.com stood at the doorway between tap room and patio. In a “Moms Demand Action” t-shirt, Democratic candidate for Vermilion County Clerk, Mary Catherine Roberson was settled in a chair with a perfect view. 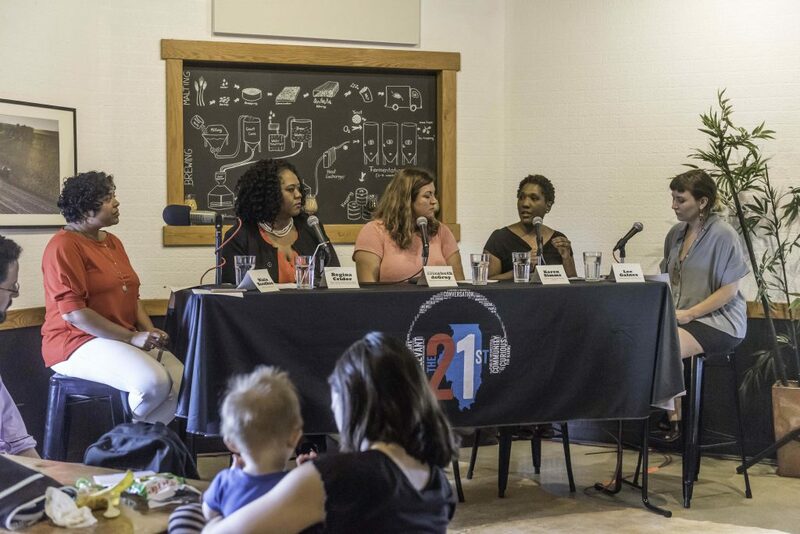 Host of The 21st statewide talk show, Niala Boodhoo, began the conversation asking Crider about her experience as a parent with a child suffering from trauma. On top of a medically traumatic respiratory failure when she was six, Crider’s daughter also experienced emotional trauma during middle school. With help from the Rantoul school district, Crider’s daughter received a good education. Knowing she was able to advocate for resources not available to many families, Crider uses her own experience to peer mentor parents and families who need help navigating the education and medical systems to help their children. The crowd erupted into applause when Crider said her daughter was able to graduate from high school. “I worked hard for that degree,” Crider said joyfully. Karen Simms gave more context for Crider’s daughter’s experience and the experience of other young people suffering from trauma. She listed supportive families, schools and communities among the kinds of external resources that influence recovery from trauma. Internal resources are those like mindfulness and self-esteem. Answering a question from Lee Gaines about teachers’ experiences, deGruy summarized the trauma-informed response teachers are learning to give to students with behavioral issues, especially students who may seem at risk of struggling with trauma. As a closing call to action, all panelists agreed that being a consistent and positive adult influence on a young person can have dramatically positive outcomes and that a supportive community breeds resiliency. On top of listening, Simms emphasized the importance of modeling good behavior for children — teaching them the productive behaviors that can get them the support or attention they need — as well as the importance of knowing what kind of services to employ for a child if the above strategies aren’t working to treat the trauma. After the event, submitted comment and question cards were covered in words of appreciation for the panelists and questions about how to move forward to make positive change in local schools and communities. 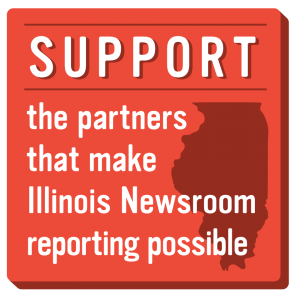 Illinois Newsroom is working with journalists and panelists to respond to select submissions as soon as possible. 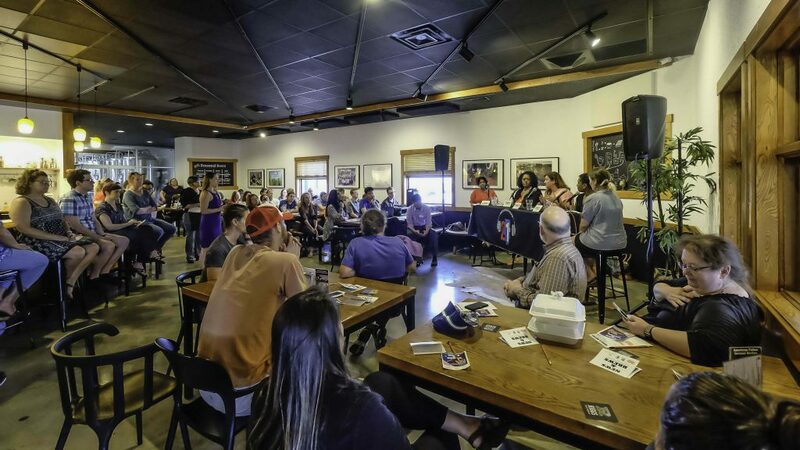 The next event in the series happens on July 24th from 6-7:30pm at Riggs Beer Company in Urbana. 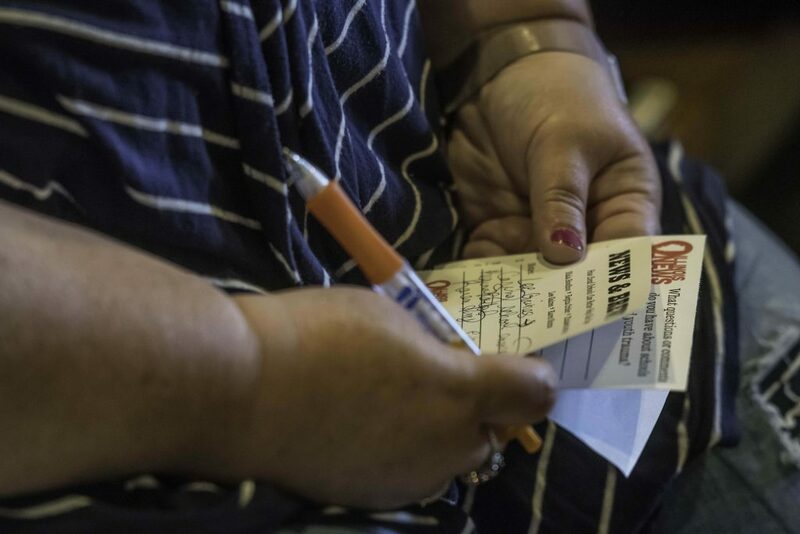 Join Illinois Newsroom for News & Brews: Books in Prisons, Why So Complicated? The panel will dive deep into data around the funding for prison libraries, experiences of incarcerated people and research surrounding the benefits of educational materials and nonfiction & fiction books in prisons. 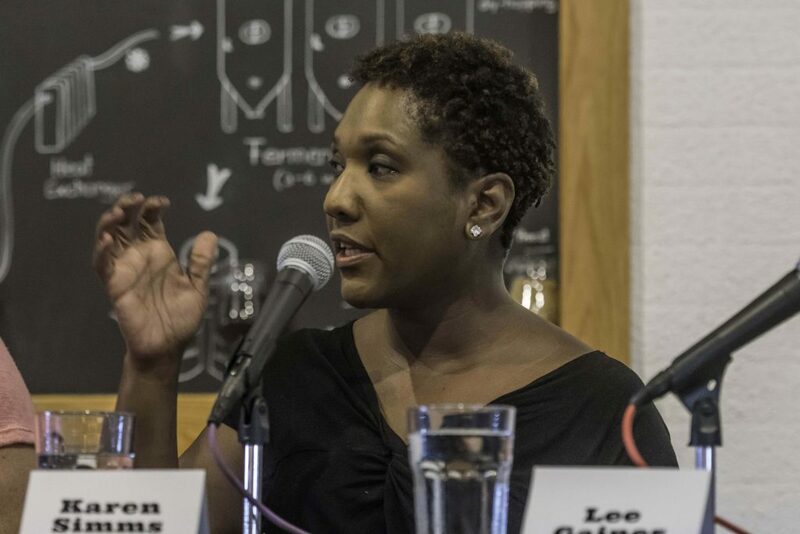 You can read & listen to education reporter Lee Gaines’ piece that inspired the event here. There’s so much more to discuss. See you soon! Next post: What Will It Take To Fix Illinois’s Teacher Shortage?